Hook, Line & Sinker. It is over. What is even happening right now. 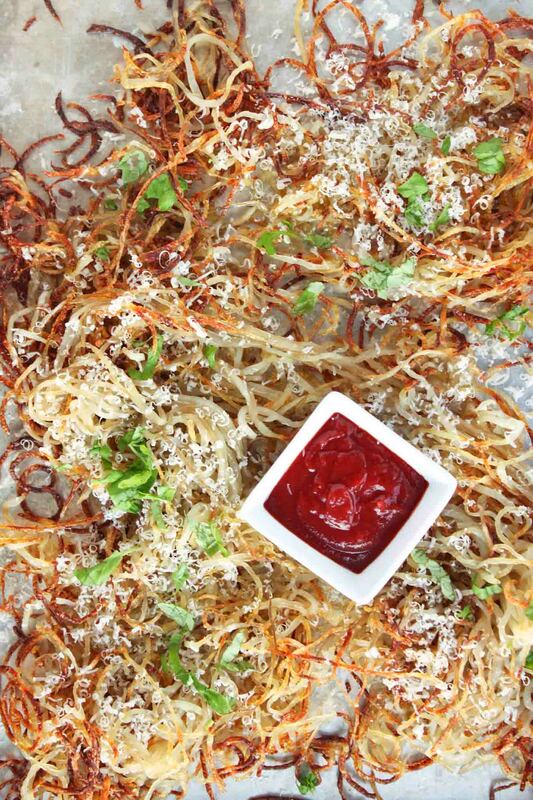 The perfectly sliced (with the spiralizer of course), thin and delicate shoe string fries, crisped in the oven and then sprinkled…and sprinkled some more with fresh chopped basil and grated parmesan all dipped in a deliciously savory, yet slightly sweet homemade strawberry ketchup. You can switch up the flavor combinations to vary with your meal. They crisp like no other, allowing you to say good-bye to soggy homemade fries. They could be used as a base to a delicious food bowl. Not to mention the fact that you could completely and utterly shock your family with the amazing flavor and restaurant like quality these fries are. The better news, there are no disgustingly unhealthy oils used in the making of these. Just soaked shoestring fries, brushed with olive oil and a little salt stuck into a piping hot oven until crisp. My oldest said they looked like a bird nest. I kindly told her we needed to work on our food terminology words, as a bird’s nest isn’t super appetizing. But none the less, I can totally see where she gets that. Not to mention the fact that we are a little bird obsessed here and not in a good way either. I kind of have the slightest bird phobia. <- Is that a real thing? I mean it isn’t like I can’t go outside, okay I can but some places around our house it is frightening to step outside. We have these birds that go cra-cra this time of the year, with nest-building, egg laying, baby bird happening shenanigans. I believe the are called barn swallows and they try to swoop into any open door or covered space to build their nests out of dirt. Needless to say, we have a lot of barn swallows around these parts. And given we have a relatively big front porch and a garage where we never shut the doors, the barn swallows become a problem. I’m not kidding you when I say these birds are after humans. They swoop you constantly until you are intimidated enough to duck and run. It really is a horrible thing. So on the front porch (that the hubs just power washed may I add) these birds, in pairs have started building a nest right above our front door. So now we are using stuffed animals to scare them away. Big stuffed cats and dogs are filling our windows to try to keep the barn swallows from using our house as nesting grounds. We once again become those neighbors, but at this point you have to do what you have to do when you are getting attacked by killer birds. ->SIGH<- This is so embarrassing now that I write this out. Anyways, the kids’ stuffed animals seem to be working, so that is a win. Do you see why birds are a constant conversation in our house? Funny how our kids fear what we do, eh? Yikes, those poor souls and the issues I am creating within them. 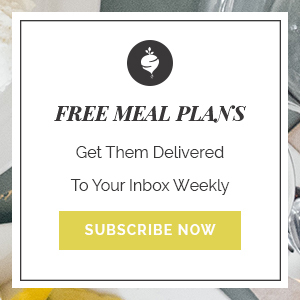 So I try to redeem my good motherhood status with creating a delicious, kid-friendly, meal and where does it end up, back with conversations about birds. They really do have a complex. ->SOBBING<- It always goes back to the birds and their crazy mom who may greatly dislike/fear/despise them (the birds that is). 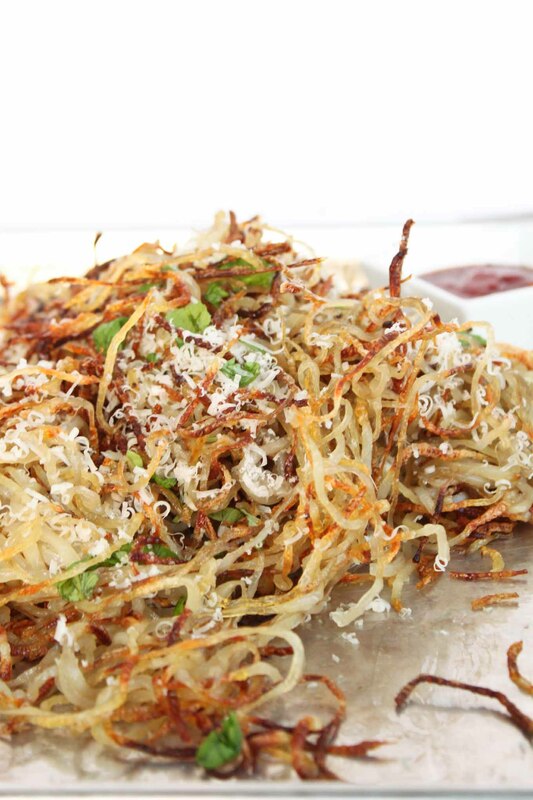 If you can move beyond the nest association and just get back to the parmesan and basil coating the crispy fries it will be a win. 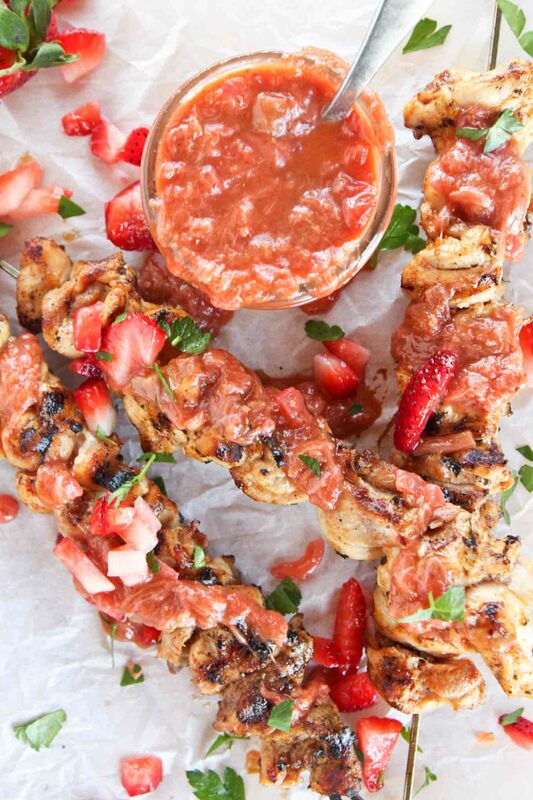 Not to mention the 10 minute strawberry ketchup. Show stopper for sure. 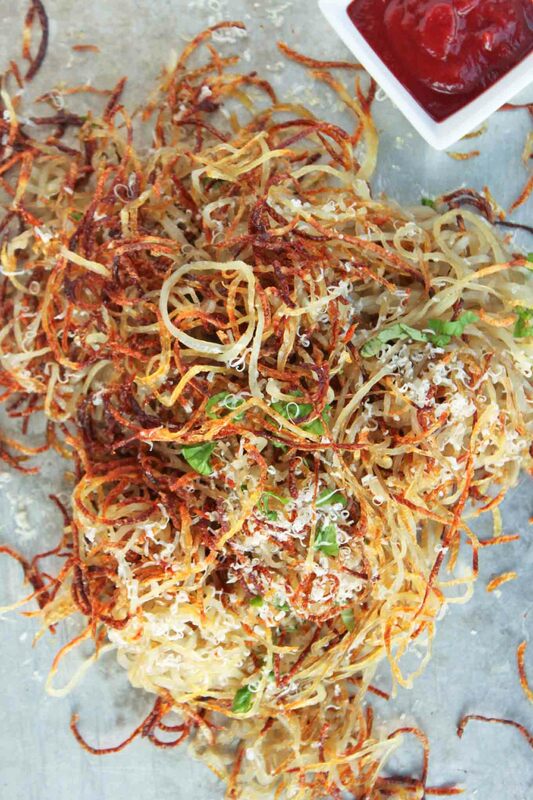 Peel potatoes and spiralize or cut into very thin match-stick sized pieces. Place in a large bowl of water and let soak 20-30 minutes or overnight. Remove and pat dry with a towel. Brush olive oil over the bottom of a baking sheet. Add dried potatoes to a bowl and add 2 Tbsp olive oil and salt. Mix well and spread out on a baking sheet in a line layer. Bake for 8-10 minutes, remove and turn to mix the shoestrings for even crisping. Bake an additional 5-10 minutes or until crisp. Remove from oven and sprinkle with parmesan cheese and fresh basil. Hull strawberries and place on a small baking sheet. Make one batch of homemade ketchup and add to food processor or blender. Add in roasted strawberries and blend until smooth. Serve or store in airtight container in the refrigerator for up to 2 weeks. 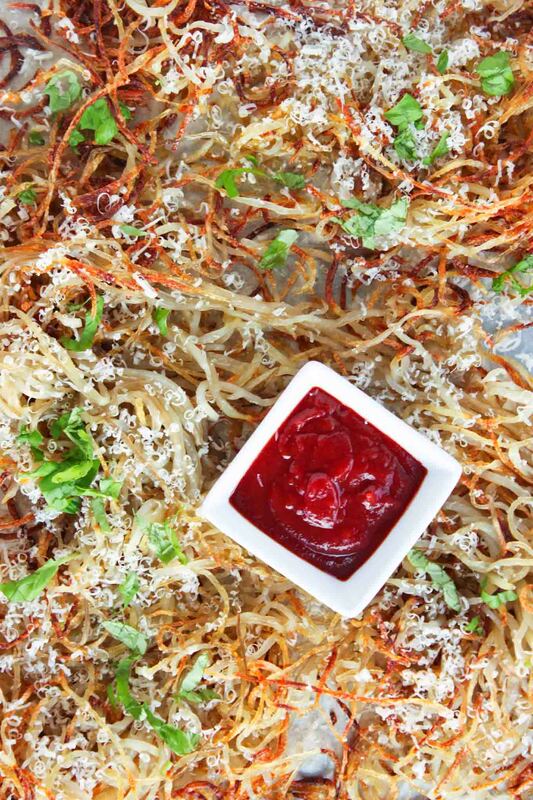 Dip shoe string fries in strawberry ketchup.